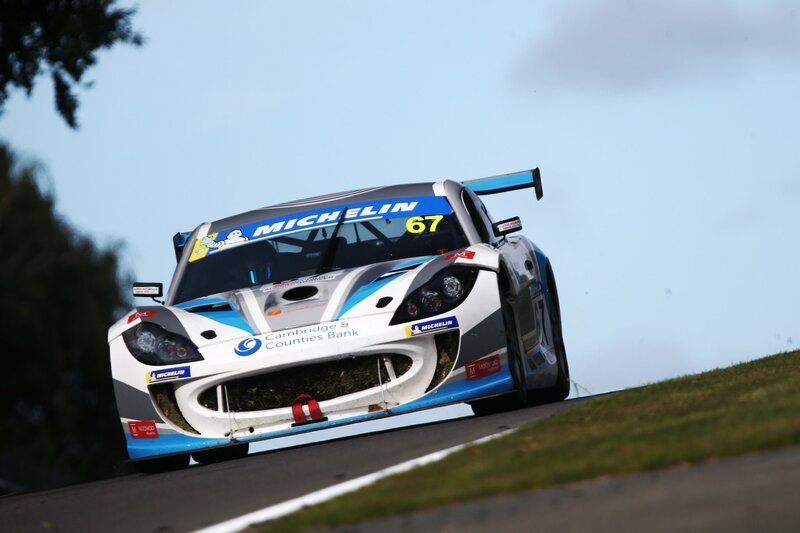 The final Ginetta GT4 SuperCup weekend of the season was held at Brands Hatch, supporting the British Touring Car Championship. Century Motorsport headed to the meeting with a good chance of becoming the Amateur Class champions with talented driver Michael Crees. Angus Fender and Andrew Gordon-Colebrooke were both in the top 10 in the Pro Class standings after showing incredible pace throughout the season, with Fender achieving his first ever double-podium at the previous round. First thing Saturday morning, the qualifying session got underway at the Kent-based circuit. The team watched the timing screens in awe as Fender posted the quickest time, taking his second pole position of the season. A competitor’s lap was reinstated shortly after the session, pushing Fender back to second place, still an incredible start position for the first race of the weekend. Gordon-Colebrooke managed to post a few quick times, with his quickest being 0.771s away from pole, putting him in sixth position. Crees had great pace out there and qualified fastest in Am Class, over half a second ahead of the second quickest time. Race 1 got underway later that afternoon. After a front row start, Fender was hoping he could find a way past to take the lead. This opportunity never occurred however Fender confidently kept his second place throughout the entire race until the finish, where he crossed the line 1-second behind the leader. Gordon-Colebrooke had an unfortunate start, stalling on the grid, which left him in 14th place, trailing behind the Am Class pack. He then got to show off some excellent overtaking moves whilst charging his way through the field, trying to find his Pro Class competitors. Three laps before the end, he found ninth place and this is where he crossed the finish line. Crees lost momentum off the line after getting caught up behind Gordon-Colebrooke and then an incident on the first corner forced him to go wide off circuit, dropping him down to third. Crees raced on and started putting pressure on Colin White ahead but didn’t risk any moves as he had the championship in mind! He took a steady drive to the finish line, taking his first third place finish of the year. The points from that race meant that he would merely need to finish the second race in order to take the Am Class championship title. Later that evening race 2 got underway. Fender dropped down one position into third off the line and then struggled to tighten the gap, unable to take back his second position. He drove really well, achieving the fastest lap of the race and crossing the line in third, getting his second trophy of the weekend with one race still remaining. Gordon-Colebrooke lost one position off the line and then spent his time in tenth place with a fairly lonely drive until the chequered flag. Crees knew he had to just finish the second race in order to win the Am Class championship. This wasn’t made easy as an incident on the opening lap with Jack Minshaw caused them both to spin. Crees dropped down to sixth place but he wasn’t going to settle with that! He stormed his way through the field, achieving the fastest Am Class lap of the race and finding second place by the final lap, which is where he then crossed the line. 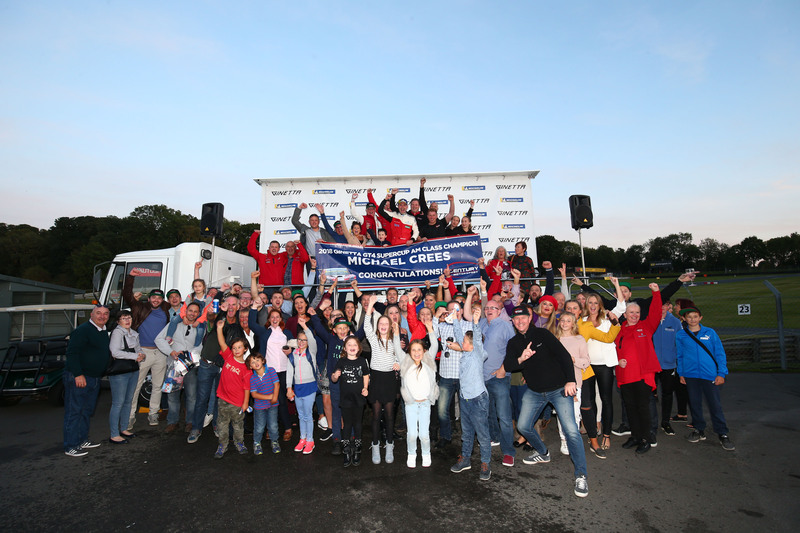 This was enough for Crees to secure the Am Class championship title and his supporters cheered him on as he climbed out of and onto the Ginetta G55! After an evening of celebrations, it was back to racing on the Sunday afternoon for the final time of the year, in front of the live ITV4 television cameras. The reverse grid saw Fender start from fourth, Gordon-Colebrooke from tenth and Crees from fifth. From a total of 17 race starters, only 11 ended up finishing the race, making for an entertaining final SuperCup race of the year! Fender made a good clean start but then contact at turn 2 damaged his rim forcing him into the pits. A safety car was then deployed for another incident on track. Upon exiting the pits, Fender was one lap down, with Am Class battles taking place ahead of him. He settled with 11th overall at the finish line (sixth in Pro Class). 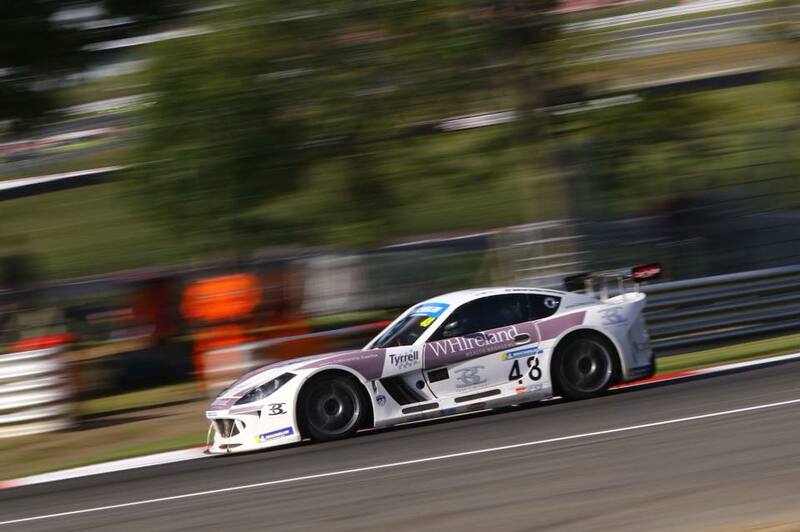 Gordon-Colebrooke got off to an excellent start, finding fourth place on the first lap after starting from tenth. Unfortunately, he was handed a 10-second time penalty for a false start, dropping him right down the order after the early safety car period. Further bad luck saw Gordon-Colebrooke go on a little detour, ending his race after just five laps (majority of which was a safety car period). Crees gradually made his way up the order after the safety car period and by lap 10 he had found second place behind White. He attempted to grab the lead on a few occasions but was unsuccessful and crossed the line in a comfortable second place. That now concludes the 2018 Ginetta GT4 SuperCup. 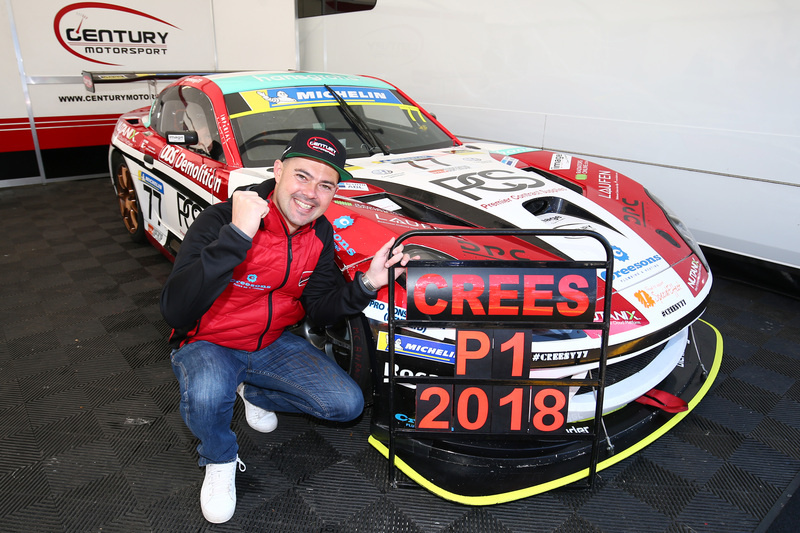 All three Century drivers have come on heaps and bounds throughout the season and the team along with Crees get to take home the title of 2018 SuperCup Am Class Champions! “This final weekend kind of sums up my whole season, having plenty of pace in order to challenge at the front but silly mistakes and bad luck combining to hold me back from doing so. I had lots of fun still though and I’ll be working hard over the winter to make sure that the mistakes won’t happen again. “This is an absolute dream come true. Two years ago I was a paying fan, sitting on the banks watching the racing and hoping one day I’d be out there on track, and it’s just amazing to now be stood on the top step of the podium as a champion. We’ve enjoyed so many incredible races this season. To win on my debut weekend was amazing, and then to take my first double victory at Croft. After that, I was determined to get a hat-trick and to tick that box at Silverstone and finish with fifteen podiums in a row is unbelievable. Putting all the success aside, I’ve learnt so much this year and that’s the key thing for me. I’m still incredibly new to motorsport and I’m here to develop and improve as a driver, and this season has put me in a great position heading into 2019 and beyond. “What a great way to end the Supercup season – Michael wrapping up the title and Angus coming away with another double podium, and his best result to date. I felt for Andrew, not getting the podium we all so badly wanted, but it’s a competitive grid and he had shown massive improvement this year.